The Juliska Forest Walk Collection- Grab your coat and wellies - the creamy cafe au lait hue is an ideal neutral to complement natural beauties plucked from brambles and rambles about the countryside - from blossoming branches to wildflowers and berries. A midline of feather plumes and painted ceramic branches further fills this vessel with untamed, yet quietly composed, character. 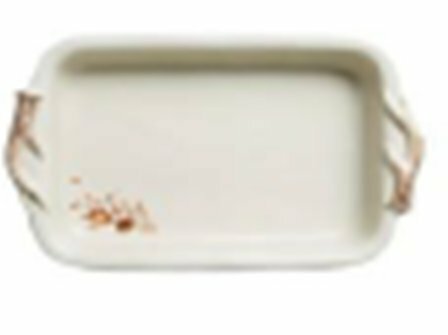 The ceramic stoneware is made in Portugal and is dishwasher, freezer, microwave and oven safe. If you have any questions about this product by Juliska, contact us by completing and submitting the form below. If you are looking for a specif part number, please include it with your message.